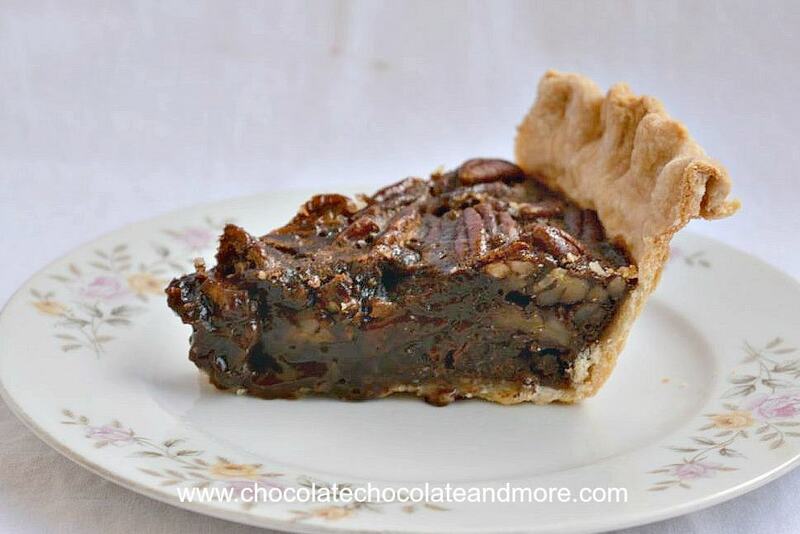 Melissa's Chocolate Pecan Pie - Chocolate Chocolate and More! Pecan pie is a southern favorite. I love a slice with a cup of hot, strong tea. Adding chocolate to pecan pie is sheer genius! 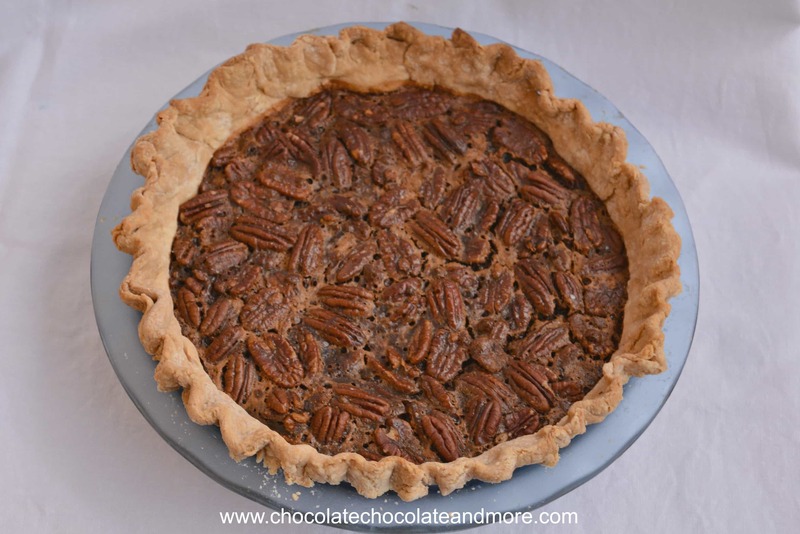 Melissa Sterka from Melissa’s Southern Style Kitchen came up with this recipe for Melissa’s Chocolate Pecan Pie. It’s just one of the many fabulous recipes in her new cookbook: Melissa’s Southern Cookbook: Tried-and-True Family Recipes. Melissa is so talented. Her recipes are always a hit on our Facebook page. Did you catch her recipe for Death by Chocolate Eclair Cake? She also has recipes for mouth-watering main courses and appetizers too. Check out her spot on QVC. Her fried chicken, five cheese mac and cheese, and cheese and bacon biscuits are too die for! When she asked me to review her cookbook, how could I resist! Sadly, many of the ingredients used in Southern cooking are not readily available here in Cambodia so I’m going to have to wait until I’m back in Texas to try her hush puppies and peanut-butter pie. 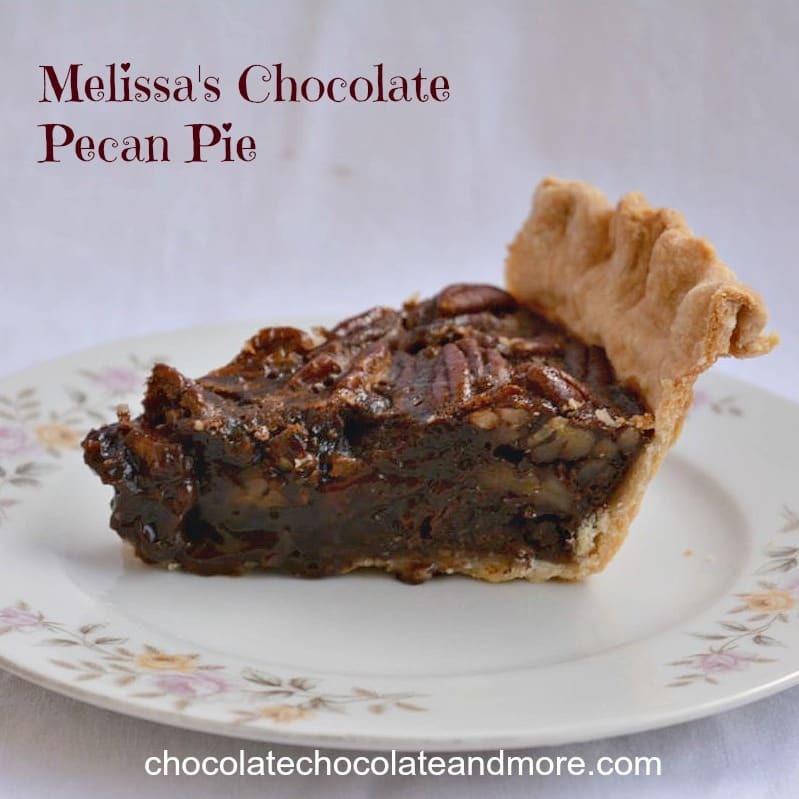 I was able to find most of the ingredients for Melissa’s chocolate pecan pie and she was gracious enough to allow me to share her recipe with Chocolate, Chocolate, and More readers. I did say most of the ingredients. For some reason, local stores haven’t had semi-sweet chocolate chips (of any kind) for weeks. I had some semi-sweet chocolate disks from France so I used those instead. These work like melting wafers but they’re good quality chocolate. It worked pretty well so if you can’t find mini chocolate chips, you could use regular sized ones with no problems. I also couldn’t find dark corn syrup so I used light corn syrup. Those of you overseas can substitute Golden syrup for the corn syrup. My pie is not nearly as beautiful as Melissa’s. I made my crust a little too big. But the flavor. Oh my. Rich fudgy filling topped with pecans. A slice of Melissa’s Chocolate Pecan Pie and a cup of coffee or tea is a slice of heaven. Melissa’s Southern Cookbook is available through Amazon, Target, Barnes and Nobles and Costco. I know I’ll be making a family dinner of fried chicken, hush puppies and this pie when I get home. Grab a copy and enjoy her amazing recipes! Preheat the oven to 375°F. Lightly spritz a 9-10 inch pie dish with cooking spray. Line the pie dish with pie crust and crimp the edges. Spread pecan halves and 1 cup of semi-sweet chocolate chips into bottom of pie crust. In a microwave proof bowl, melt the remaining ½ cup chocolate chips and 2 tablespoons butter. Microwave in 20 second increments, stirring each time. Repeat until chocolate is smooth. Whisk in corn syrup, both sugars, vanilla and salt. Add 4 large eggs, whisking until fully incorporated. Pour chocolate mixture evenly over pecans and chocolate chips in pie crust. Bake at 375°F for 20 minutes. Then reduce the temperature to 325°F and bake 20-25 minutes more. Pie is done when center is set when gently shaken. Cover the edges of the crust with aluminum foil halfway through cooking to prevent over browning, if needed. Cool until warm to the touch before cutting. Serve with ice-cream or a dollop of fresh whipped cream, if desired. I think that would result in a fork duel 😉 Your pie is absolutely amazing! omigosh YES-this pie’s texture looks heavenly, chocolate makes everything better!